Resin garden planter with legs. Anglo American Distributors. 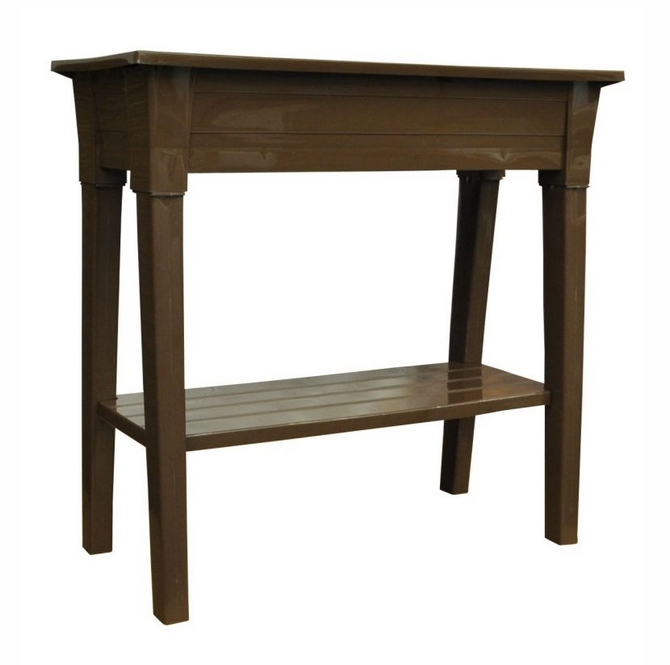 It is made in the USA of Prime Polypropylene with a UV inhibitor and consists of a top trough, shelf and 4 legs. This raised garden planter weighs 5.79kgs (12.74 lbs). By having legs, it is easy on your back, besides looking great. The shelf can be used for storage or additional flowers and there is an easy open drainage hole with plug in the trough. This quality resin raised garden planter is perfect for flowers, vegetables and herbs. The Adams deluxe raised garden planter measures L92 x W40 x H87 cms (L36 x W15.5 x H 34ins) and is easily assembled in a few minutes. It is strong and very sturdy and is rated to hold 68kgs (150 lbs) in weight. The shelf alone is rated to hold 6kgs (15 lbs). 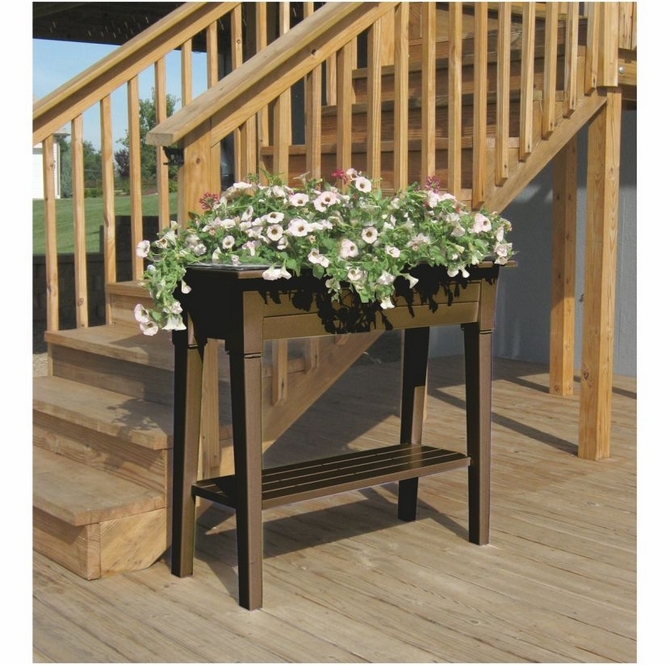 The shelf and legs stack neatly inside the planter for easy merchandising-see diagram above. Case pack 1 for courier shipping.